Sign-in sheets are used in various settings. They help collect personal information from your guests such as their names, contact details, and organization or company being represented by the guest. Government offices utilize sign-in sheets on a daily basis to record the number of people who visit the establishment. 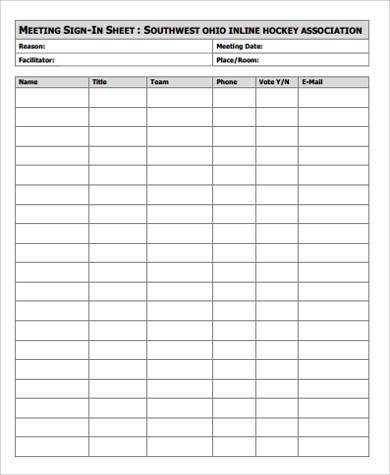 Meeting sign-in sheets are a great way to track the attendance of a meeting. 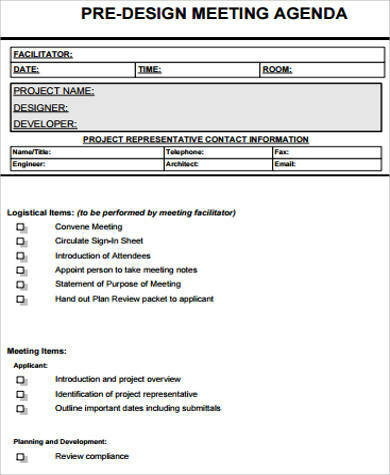 The information gathered can be used to make a database to conveniently disseminate the minutes of the meeting. These Sample Sign In Sheets in PDF (.pdf) format is free for download, ready to be printed, and utilized. 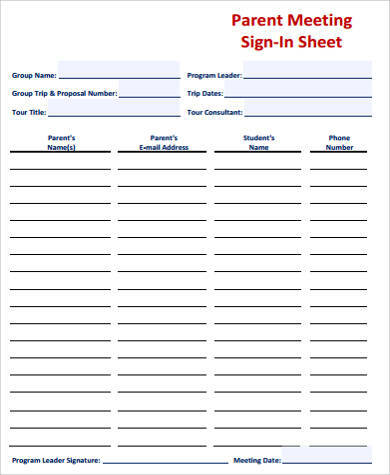 Meeting sign-in sheets can help you track who was present and absent during the meeting. 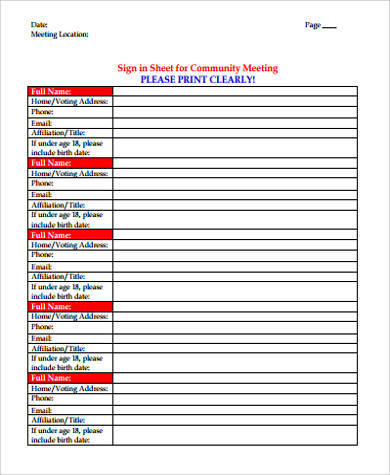 Here are a few tips to ensure that sign-in sheets are filled out by everyone who is attending the meeting. Make sure there is an assigned area where guests can sign the sign-in sheet. Have people man the assigned area to ensure that people who are coming in and out of the venue are monitored. Assure guests that sign-in sheets are for the organization’s internal use only. Customize your sign-in sheets to give a polished and professional look to it. Make sure your sign-in sheets are organized. Analyze the data you have gathered. Schedule data analysis at least once a week to help you evaluate who are the people you need to reserve seats for the next meeting. 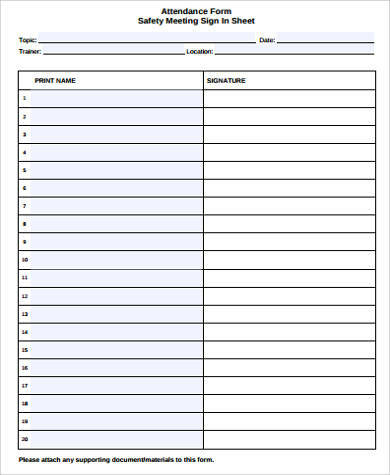 The sign-in sheets featured in this article are very easy to use. They collect basically the same elements. They help you save more time when it comes to creating custom sheets because you can easily edit these forms according to your preference. They are also pre-drafted in a way that they are in fonts that are easy to read and that there is ample space for guests to write the information needed. 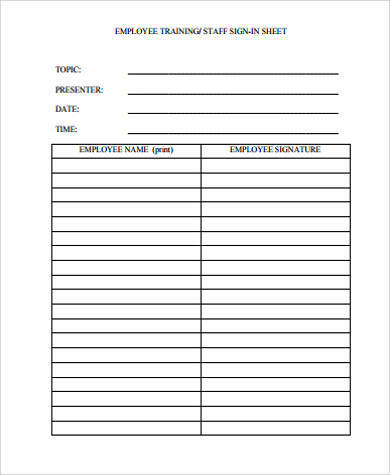 You may also refer to Student Sign-in Sheets and Employee Sign in Sheets to keep track of student and employee attendance. Sign-in sheets are a fool-proof method of collecting relevant data. 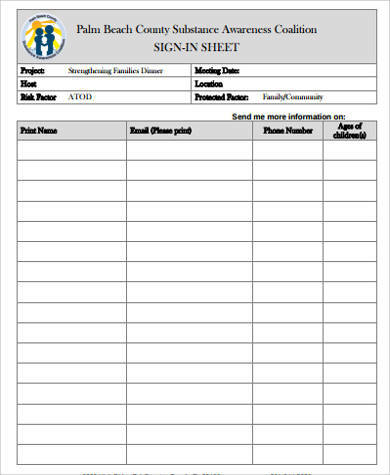 Whether the meetings to be conducted are private or public, anyone can use meeting sign-in sheet templates. Although sign-in sheets are not really that hard to create from scratch, you can always opt to take a shortcut and have a sign-in sheet ready in a few short minutes. 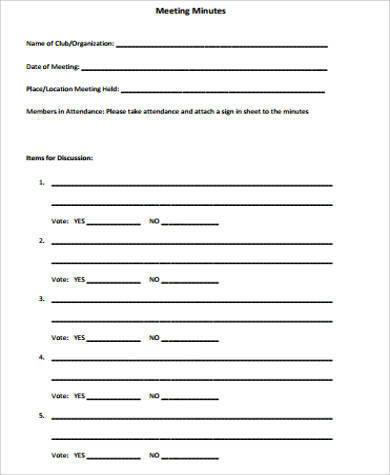 It is a form of keeping a record and can also help you monitor who are the people who attend the meetings on a regular basis. 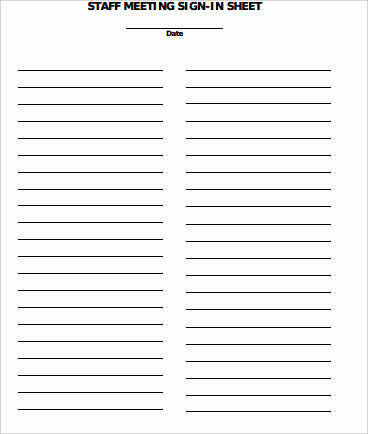 This article provides a wide variety of sign-in sheets you can use whenever you are conducting meetings. 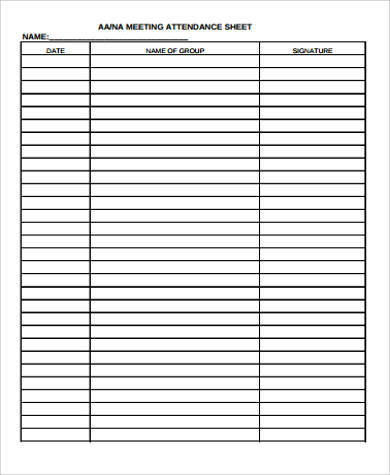 Using the sign-in sheet templates can help you create an exemplary sign-in sheet with minimal effort. They come in a variety of formats that are interesting. All you need to do is choose one that seems appropriate for the meeting you are going to conduct and print it out. They can be utilized by individuals, private organizations, companies, and other groups who hold meetings on a regular basis. You can also see our Sample Open House Sign in Sheets.